National Signing Day is just three days away, and the Kentucky football coaching staff is looking to bring in some elite talent to close out their 2019 recruiting class. One of those stars? Four-star wide receiver Devonta Lee. And judging by his most recent comments, things are looking pretty good for the Wildcats. Lee, a 6-foot-2, 215-pound receiver out of Amite, LA, said that he “fell in love with Kentucky” during his official visit to Lexington this weekend. The Under Armour All-American holds offers from Alabama, LSU, Auburn, Florida, Florida State, Miami, Tennessee, and Texas, among others, though most experts believe Lee’s recruitment will come down to LSU, Alabama, and Kentucky. Rivals lists Lee as the No. 80 prospect in the nation and the No. 9 athlete overall, while 247 Sports has him at No. 177 and ESPN has him at No. 208 overall. 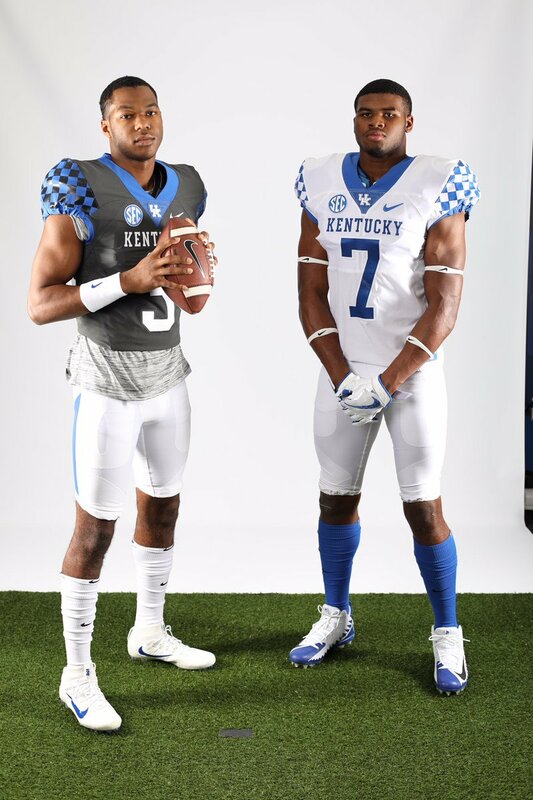 Lee’s high school teammate and Kentucky quarterback commit, Amani Gilmore, was also on his official visit in Lexington this weekend. After the visit, he let the Twitter world know he wanted his dynamic receiving partner to join him at Kentucky. If you haven’t seen this kid play yet, stop what you’re doing and watch just a few of his highlights. Bring him on home, Coach Stoops. With a name like Devonta, he has to be a good receiver. I would not be so fast to pencil in Rose as the starting running back either. My first thought as well. But with his versatility and experience, he is the obvious choice at the beginning of the season. Rb rotation looks promising even though snell is going pro. Don’t think bbn realizes just yet how much talent is coming back next year. Obviously losing some good seniors but the ones behind them are very talented and have stepped in to make plays when others have went down. 1. We’re losing our entire secondary. I know D Rob made some plays, and Ajian had the INT against State, but that’s a lot of guys that have to step up. 2. Our pass rush obviously won’t be as good next year. I trust our LB depth, but it’s not generational talent Josh Allen good, obviously. UK has 8 home games in 2019. They play at Georgia, South Carolina, Vanderbilt, and Mississippi State. They have the talent to have better seasons for the next 2 year’s than this current season. I believe that. More 4 star talent and some 5 star talent will start signing with UK. I believe an upgrade to our current facilities will be needed to compete with the elite in the SEC and possible playoff which will probably expand to 8 because of money. I figure the Power 5 champions and 3 at large teams are coming next. UK could be one of those 8 teams in the next 2 to 3 yrs with recruiting wins and player development. I really hope he can caught… that should be a dumb statement, but as our receivers have gone over the years; it’s valid. No, you were right the first time. As written, that is a very dumb statement. This is who I said we were recruiting that made Wandale, leave he was being recruited over, that’s a good problem to have Lee is a sure fire stud!!! Come to the Bluegrass Devonta! Come join Stoops Troops!